I read this article and found it very interesting, thought it might be something for you. The article is called New Economics Says Prosperity Doesn’t Trickle Down. 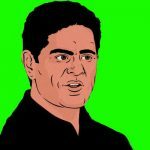 It Comes from the Middle-Out and is located at http://evonomics.com/new-social-security-system-sharing-economy-hanauer/. The American middle class is facing an existential crisis. For more than three decades, declining wages, fraying benefits, and the rising costs of education, housing, and other essentials have stressed and squeezed middle-class Americans. But by far the biggest threat to middle-class workers—and to our economy as a whole—comes from the changing nature of employment itself. Gone is the era of the lifetime career, let alone the lifelong job and the economic security that came with it, having been replaced by a new economy intent on recasting full-time employees into contractors, vendors, and temporary workers. It is an economic transformation that promises new efficiencies and greater flexibility for “employers” and “employees” alike, but which threatens to undermine the very foundation upon which middle-class America was built. And if the American middle class crumbles, so will an American economy that relies on consumer spending for 70 percent of its activity, and on a diverse and inclusive workforce for 100 percent of the innovation that drives all future prosperity. This crisis is not unfolding in a vacuum. For more than 30 years, the Democratic Party has suffered from a crisis of identity, leadership, and vision on issues of political economy that has left it unable to either articulate or defend the true interests of the middle class. Democrats might tinker around the edges, arguing for more economic justice and fairness, but for the most part they have largely accepted, or at least failed to counter, the fictitious trickle-down explanation of what growth is (higher profits) and where it comes from (lower taxes and less regulation). And so, through Republican and Democratic administrations alike, corporate America has seen less regulation, lower taxes, and higher profits, while middle-class America has gotten the shaft. This acquiescence to the conservative economic narrative has proven to be a political disaster as well. Progressives proudly back economic justice, but economic justice arguments alone are not enough to sway a majority of voters, many of whom value the promise of growth and employment over economic fairness. That is why progressives must reframe the economic debate by replacing the dominant trickle-down narrative with a new and better middle-out explanation of where growth and prosperity really come from—one based on economic inclusion. In the technological economy of the twenty-first century, growth and prosperity are the consequences of a virtuous cycle between innovation and demand. Innovation is how we solve problems and raise living standards, while consumer demand is how markets distribute and incentivize innovation. It is social, civic, and economic inclusion—the full, robust participation of as many people as possible—that drives both innovation and demand. And inclusion requires policies that secure a thriving middle class. The trickle-down theory—the one that lionizes the rich as “job creators”—insists that the American middle class is a consequence of growth, and that only if and when we have growth can we afford to include more people in our economy. But trickle-down has it exactly backwards: Properly understood, the middle class is the source of all growth and prosperity in a modern technological economy, and economic security is the essential feature of what it means to be included in the middle class. Economic security is what frees us from the fear that one job loss, one illness—one economic downturn amidst a business cycle guaranteed to produce economic downturns—could cost us our home, our car, our family, and our social status. It’s what grants us permission to invest in ourselves and in our children, and to purchase the non-subsistence goods and experiences that make our lives healthier, happier, and more fulfilling. It gives us the confidence to live our lives with the realistic expectation of a more prosperous and stable economic future, and to take the entrepreneurial risks that are the lifeblood of a vibrant market economy. A secure middle class is the cause of growth, not its effect; in fact, our economy cannot reach its full potential without it. And a middle class that lives in constant fear of falling out of the middle class isn’t truly middle class at all. From 1950 through 1980, during the heyday of the Great American Middle Class, a combination of New Deal programs, a corporate culture of civic responsibility, and a powerful labor movement provided a majority of American workers with health insurance, unemployment insurance, workers’ compensation insurance, pensions, job security, rising wages, overtime pay, paid vacation, paid sick days, a 40-hour workweek, and access to affordable, high-quality education. These are the benefits that provide the economic security of a decent and dignified life that defines what it means to be middle class, and that led to an unprecedented increase in living standards and economic growth. And under the old economy, they were, and still are, largely provided by one’s employer. Take, for example, an American worker whose story is increasingly typical of this new age. We’ll call her “Zoe.” Zoe is a woman in her late 20s who works part time at a hotel outside Denver. She’s worked at the front desk for five years, and her supervisor says he’s happy with her performance—but he never schedules her for more than 29 hours in a single week, so she does not qualify for health insurance or other benefits that full-time workers enjoy. Her annual raises amount to a fraction of a percent increase to her weekly pay, hardly enough to keep up with inflation. Between rent, automobile expenses, and buying her own health insurance (now federally subsidized, thanks to Obamacare), Zoe has needed to find additional sources of income. She’s always liked gardening, so she started auctioning her services as a landscaper on the popular work-outsourcing site TaskRabbit. The work was fairly easy and enjoyable—mostly lawn mowing and hedge trimming for elderly homeowners in her neighborhood—so she quickly abandoned the middleman and began contracting her services directly to clients. The work takes about ten hours a week, and she earns an additional $100 or so a week at it, depending on the season. But those two jobs combined don’t pay enough to keep Zoe in the black. On Friday and Saturday nights, she’ll usually pick up a “shift” working as a driver for the peer-to-peer ride-sharing service UberX. Zoe ferries young people to and from bars across town, responding to calls on the app for four or five hours a night, amounting to another $150 or so a week. Occasionally, on the rare weekday off, she’ll go live on UberX to drive people to and from the airport. That’s not all. During tourist season, Zoe will pick up a little spending money by renting out her apartment on Airbnb, living in her parents’ house for days or weeks at a time. And when her schedule at the hotel allows it, she’ll pick up a temp job or two, usually doing light office work at a local hospital; but her work schedule changes from week to week, and temp work is unreliable, so she can’t often coordinate jobs. Zoe would like to go back to college to finish her degree, but can’t seem to piece together either the time or the money. Besides, she has friends and co-workers with college degrees, living similar lives, only with the added burden of tens of thousands of dollars in student debt. If you think all her hard work amounts to a stable lifestyle, you’re wrong. Zoe doesn’t have enough money in the bank to sustain a savings account, let alone to contribute to retirement. She’s never late with her rent, but the idea of owning a house is far out of reach. Sometimes, when she catches a bad cold, or inclement weather conspires against her part-time piecemeal work, she’s forced to put groceries, the electricity bill, or gas on her credit card. It can take months to pay that balance back down. But the cost is more than just financial. Zoe can’t remember a time when she wasn’t tired. She’s never taken a vacation in her adult life. (The right and ability to take a vacation are integral parts of what it means to be middle class, yet a Google Consumer Survey found that 42 percent of all American adults failed to take a single day of vacation in 2014.) She can’t imagine ever being able to retire. She barely has time for dating, let alone settling down and starting a family of her own. She dreads the day when her car just stops running, because she knows that would destroy her financially. Zoe doesn’t have any idea what the process of bankruptcy is like, but that doesn’t keep her from having nightmares about it. Sometimes when she listens to the radio while driving between jobs, Zoe hears that America is finally pulling out of the Great Recession, that prosperity is on the rise again. She doesn’t know what to make of that, but she knows she’s not feeling particularly prosperous. In fact, she feels a little bit poorer with each passing year. Zoe’s parents help her and her siblings out as best they can, but they must carefully marshal their own savings. Zoe’s father, Joe, worked most of his adult life at a local brewery, working his way up from the loading dock to delivery driver to local sales rep, until a series of mergers and the Great Recession forced him into early retirement. Zoe’s mother, Liz, works as the office manager at a small law firm, but plans to join her husband in retirement in a few years. Thirty-plus years at the brewery earned Joe a modest pension, and once the kids were out of the house, he and Liz were able to squirrel away additional retirement savings. Social Security will supplement their nest egg, while Medicare will provide for their health care. They paid off their mortgage years ago, so their housing expenses will remain minimal. They’ve budgeted their retirement years to the last penny; it won’t be lavish—a little travel, a lot of golf—but it will be secure. The contrast between the experience of Zoe’s generation and that of her parents is stark. Zoe’s parents entered the workforce with the expectation that hard work would be rewarded with decent pay, improving prospects, and a comfortable retirement; it was an era in which the benefits that define a middle-class lifestyle were largely provided through one’s job, and an era in which employers generally accepted that they had a responsibility to safeguard the welfare of their workers. Of equal significance, it was an era in which most Americans could reasonably expect to work for only a handful of companies over the course of their career, and certainly no more than one employer at a time. This was the social contract of the 1950s, ’60s, and ’70s, and it was a contract that fostered the economic security and stability that enabled the middle class to thrive, and the American economy and businesses to prosper. But for Zoe’s generation, this contract no longer exists. The hotel that employs her views her paycheck as just another operating expense to manage and to trim, while the clients she services via UberX and TaskRabbit and Airbnb do not view her as an employee at all. Zoe works longer hours than her parents ever did, but she earns no time-and-a-half overtime pay, accrues no sick days or vacation days, and accumulates no pension or 401(k). And in the “sharing economy” that is frequently proclaimed to be the future of work—an economy of work, but not “jobs”—Zoe and her cohort are even denied the unemployment and workers’ compensation insurance that have composed the barest threads of our social safety net for the last hundred years. The lesson we can take from Zoe’s experience is that our traditional job-based benefit system no longer makes sense in an economy in which fewer and fewer workers will hold traditional jobs. For while the sharing economy promises many exciting new opportunities, without a new labor-ownership framework, it simply cannot provide the economic benefits, stability, and security necessary for a robust and thriving middle class. If sustained economic growth requires policies that sustain the middle class—policies designed to include more and more people in the economy as both innovators and consumers—then what exactly does it mean to be middle class? For the purposes of our discussion, “middle class” is less of an income distinction and more of a social one. Typically, middle-class Americans purchase homes, they educate themselves and their children, they participate in their community, they spend money on leisure and other discretionary purchases, and they save for retirement. Over the course of their lives, middle-class Americans build personal wealth, however modestly, and sometimes they start businesses. And they can do all these things because they have the confidence and the wherewithal—the economic security—to plan for the future. Or, to use a word our nation’s business leaders would surely understand, a functional middle class enjoys certainty. Of course, business does require a degree of certainty to operate—you’re not likely to see American corporations invest in Somalia right now, for example, because they can’t be sure the Somali government will enforce the rule of law. Without the protection of laws, assets could be seized, workers could be imperiled, and profits could disappear. But the demand for this heightened certainty is somewhat odd—it seems to fly in the face of the hypercompetitive laws of capitalism that the modern market was built upon and the risk-taking that is theoretically the source of reward for investors. It is at least ironic to hear CEOs who fancy themselves “risk takers” when defending their own astronomical pay demand certainty as a prerequisite for making new business investments. But that is apparently the new contract they want between government and business. What few business leaders seem willing to concede is that 99 percent of the certainty they seek comes from a confident and thriving customer base and rising consumer demand. It’s not a lack of profits or capital that is holding back our recovery, but a lack of demand. And middle-class consumers will resume their discretionary spending only when they once again feel certain of their economic future. If our captains of industry are so certain that certainty is necessary for industry, then it surely must be true that their customer base, the American middle class, needs some of that certainty as well. For without the certainty that they will remain in the middle class, middle-class Americans simply cannot fulfill their crucial economic role. The middle-class uncertainty that started creeping up on us in the 1980s came to a head as the bottom fell out of the housing bubble in 2008. Consumer demand collapsed and, seven years later, it has yet to return to pre-recession levels. Much of our crisis of weak demand stems from four decades of stagnant incomes—a 6-percent-of-GDP, trillion-dollar-a-year transfer of wealth from wages to corporate profits that has sapped American consumers of their prior strength. But much of it also comes from the way the changing nature of employment is stripping away the labor standards and benefits that are prerequisites for sustaining an economically secure middle class. The labor standards that created the middle class are being balkanized by a mishmash of federal and local laws, deteriorating union protections, and convoluted new business and ownership models that often are intentionally designed to disempower workers. The truth is that Zoe doesn’t work for a hotel; she works for the local subsidiary of a national company that manages front desks at hundreds of hotels nationwide. The rest of the hotel is staffed by an equally complex ecosystem of contractors and subcontractors: Housekeeping is farmed out to one contractor, the restaurant to another contractor, and security to yet another. One company owns the land and the building, while a hotel management firm leases it. The only thing that’s “Hilton” or “Marriott” or “Sheraton” about a hotel might be the franchised brand—the sign hanging above the front door and the logo on the towels. There is nothing inherently wrong with this arrangement. Our highly complex economy requires and rewards heightened specialization. But each of those contractors has likely won a cutthroat bidding war to earn its contract, in which it has offered the most services in exchange for the least amount of money—and the least empowered workers, like Zoe, are the ones who end up paying the highest price. Even if Zoe and her co-workers wanted to organize, against whom would they strike? And if the front-desk management company were to raise prices in order to give Zoe full-time work and the benefits that go with it, the hotel management company could always just switch to a cheaper contractor. This is the new “you’re on your own,” benefit-free, race-to-the-bottom reality for millions of American workers. And as more new innovative businesses and business models are invented, this process will only accelerate. As the sharing economy kicks into high gear, more and more Americans will become independent contractors activated at the touch of a button on an app, working for a fleet of employers. According to a 2015 Bureau of Labor Statistics report, Americans born in the late Baby Boom have held around 12 jobs in adulthood. It’s possible that 30 years from now, the average American might well work for four or five or even more different employers in a single week. This hyper-nimble form of employment means the economy will likely be even more efficient in years to come, as workers are hired for very specific tasks of a highly limited duration. But a nation of independent contractors is a nation of workers without any of the benefits that defined the decent and dignified life that gave one reason to be optimistic about the future—a gross violation of the social contract that helped create the greatest economic expansion, the most dramatic increase in living standards, and the largest, most prosperous, most productive, and most secure middle class in human history. And even if trickle-down’s low-tax, low-regulation, benefit-free policies could grow GDP as fast or faster than “middle out”—and they can’t—why would Americans choose that? Why would we choose an America in which just 10 percent of Americans enjoy 100 percent of the rewards of economic growth (as they have since 1980), while the vast majority of middle-class families struggle to remain middle class? For a nation full of Zoes is a nation full of people who simply do not have the time or energy to help their children with their homework, to be good neighbors, or to participate in the civic life of their communities. And a nation full of Zoes simply cannot provide the massive input of innovation and consumer demand that our economy requires of the middle class. It is important to state that this is not an argument against innovation. We welcome the efficiencies and flexibility that companies like TaskRabbit and Uber bring to the market. But innovation also brings with it disruption, and if we want to preserve the economic security of the American middle class, then we need to respond with an equally innovative set of labor policies. An economy based on micro-employment requires the accrual of micro-benefits, and a twenty-first-century sharing economy requires a twenty-first-century social contract that assures shared economic security and broad prosperity. We propose a new Shared Security System that endows every American worker with, first, a “Shared Security Account” in which to accrue the basic employment benefits necessary for a thriving middle class, and second, a new set of “Shared Security Standards” that complement and reinforce that account. One can think of the Shared Security Account as analogous to Social Security, but encompassing all of the employment benefits traditionally provided by a full-time salaried job. Shared Security benefits would be earned and accrued via automatic payroll deductions, regardless of the employment relationship, and, like Social Security, these benefits would be fully prorated, portable, and universal. Proration. The obvious solution to the explosion of part-time work—voluntary or otherwise—is to prorate the accrual of benefits on an hourly or equivalent basis. For example, if Zoe works 30 hours a week at the hotel, she should earn three-quarters of the benefits offered by a full-time 40-hour-a-week job; if she works 20 hours a week, she should earn half the benefits. There is no doubt that many employers push their employees into part-time work in order to avoid the added cost of paying any benefits at all. Proration would eliminate this perverse incentive and the economic distortions and inefficiencies that come with it. To be clear, proration is not a radical idea. Social Security and Medicare have always been prorated: Zoe’s employer pays half of her 15.3 percent combined Social Security and Medicare tax, regardless of how many hours she works. But all mandatory benefits that normally accrue to full-time employees on a daily basis—sick days, vacation days, health insurance, unemployment insurance, workers’ compensation insurance, retirement matching, Social Security, and Medicare—should also accrue to part-time employees (hourly, salaried, or contract) and sharing-economy providers on a prorated hourly or equivalent basis. Portability. Job-based benefits no longer make sense in an economy where fewer and fewer workers hold traditional jobs. This is why these accrued benefits must be fully portable, following the worker from job to job, or contract to contract. For example, paid vacation days that Zoe accrues at one employer could be carried over to her next, although the cost of paying for these days would come from funds banked in her Shared Security Account. Because benefits from multiple employers are pooled into the same account, portability and proration work together to provide workers with the full panoply of benefits, even within the flexible micro-employment environment of the sharing economy. Universality. In the new economy, a basic set of benefits and labor standards must be universal across all employers and all forms of employment, with few exceptions or exemptions. While there is much to recommend the innovations introduced by companies like Uber and TaskRabbit, they are currently exploiting gigantic loopholes in our social contract by transforming jobholders into independent contractors, thus stripping them of essential benefits. A robust set of mandatory universal benefits would put all employees and employers alike on an equal footing, while providing the economic security and certainty necessary for the middle class to thrive. Within the context of the Shared Security Account, there would be essentially two types of benefits: those that are accrued over time, retaining a specific dollar value, and those that provide insurance against life events, foreseen or otherwise. And the two types of benefits would be accounted for differently. Mandatory accrued benefits should include a minimum of five days a year of paid sick leave, 15 days a year of paid vacation leave, a matching 401(k) contribution, and the same health insurance premium contribution as currently required under the Affordable Care Act (ideally, health care would fall into the insurance benefit category, but that is a larger battle). Employers—that is to say, whatever entity is paying the worker—would be required to contribute to the worker’s Shared Security Account with each paycheck, with the contributions prorated based on a standard eight-hour day, 40-hour week, and 2,080-hour year. For example, 20 days a year of combined vacation and sick leave is equivalent to a contribution of $0.0769 for every dollar of wages paid, and that is the rate at which companies like TaskRabbit and Uber would contribute for non-hourly piecework (of course, there will always be under-the-table employment that circumvents these requirements, but that is true already). There would be restrictions on how and when the worker could withdraw the funds. Mandatory insurance benefits should include unemployment, workers’ compensation, and paid maternity, paternity, family, and medical leave. These would not be cash benefits that the employee could accrue and cash out, but rather pooled insurance to which both the employer and employee would contribute small premiums as a percentage of pay, based on actuarial tables. As for who collects and holds these contributions, there are several potential options. It could be the state or federal government, as with existing payroll deductions. It could be one or more not-for-profit institutions analogous to the old Blue Cross and Blue Shield. It could be a public/private institution created expressly for this purpose. It might even be the bank or credit union with which you’ve already set up direct deposit (it is quite likely that the value of holding these funds would more than cover the cost of administration, leading to competition for your business). As little as a decade ago, such a system might have been considered a costly logistical and accounting burden, but the electronic debits and credits of one’s Shared Security Account are nothing compared to the transactional complexity of the fast-growing sharing economy. The universal, portable, and prorated features of the Shared Security Account would assure that all workers accrued basic job benefits regardless of the changing nature of employment. But that alone is not enough to provide the economic security necessary for the middle class to grow and thrive. The new economy also requires the adoption of a complementary set of minimal Shared Security Standards to level the playing field among employers while giving all Americans the opportunity to fully participate in our economy. Paid leave. Employers would be legally obligated to grant you time off to use the leave benefits accrued in your Shared Security Account, without intimidation or retaliation. Livable minimum wage. The federal minimum wage should be raised to $15 an hour, indexed to inflation, and adjusted up or down geographically to account for substantial disparities in local cost of living. Overtime pay. The federal overtime threshold—the amount you must earn less than to qualify for mandatory overtime—should be raised from $23,660 to $69,000, and readjusted annually to a level sufficient to cover the same 65 percent of salaried workers who were covered back in 1975. Pay equity. At the bare minimum, protections like those in the Paycheck Fairness Act must ensure wage parity between women and men. Fair scheduling. Middle-class security is impossible without a reasonable and stable work schedule. Employers must be required to give fair notice to workers on scheduling. Together, the Shared Security Account and the Shared Security Standards—along with critical family support programs like affordable child care, high-quality universal preschool, debt-free college education, and immigration reform—would comprise a new social contract designed to fit the flexible employment relationships of the new economy. By condensing these benefits into one holistic, self-reinforcing, and portable package of standards we call the “Shared Security System,” we streamline the employment process, making it easier for the sharing economy to absorb new employees, and freeing employers from the burden of tracking employee benefits. These are not outrageous demands. Most Americans already enjoy many of these benefits—our challenge is to retain them in the face of the changing nature of employment. And the benefits for the economy would come in the form of more than the intangible (but crucial) metric of worker happiness. The new system would subtract the inefficiency of negotiation from the hiring process. It would encourage employers to provide additional benefits in order to attract the best workers on the job market. It would increase productivity. And it would level the playing field between the large number of employers who believe in providing benefits for their workforce and that small subset of rapacious employers who sacrifice worker happiness for the sake of profits, lowering the bar for everyone else. Consider Zoe’s improved situation under the Shared Security System’s suite of benefits and labor standards. Not only would Zoe earn prorated benefits at her hotel job, she would also accrue additional benefits in her side landscaping business, as an UberX driver, and as a temp at the hospital. Since benefit proration would eliminate employers’ financial incentive to keep workers under the 30-hour-a-week “full-time” employment threshold, the hotel might finally offer Zoe the stability of a regular full-time job. And if on occasion she worked more than 40 hours a week at the hotel, she would earn time-and-a-half overtime for her troubles. If Zoe got sick, she would no longer be forced to choose between her health and her job. Paid sick days earned at all of her jobs would be aggregated in Zoe’s Shared Security Account, and the hotel would be legally obligated to allow her to take up to five sick days a year without the threat of retaliation: The hotel would grant the time off, and Zoe’s Shared Security Account would pay out the benefit. The same would hold true for accumulated vacation days. For the first time in her life, Zoe would be saving money for her retirement, as each of her employers would match 401(k) contributions per hours worked. The few cents she contributes to her retirement fund for every hour worked gardening on TaskRabbit might not seem like a lot of money, but when all the contributions are totaled for every hour of work Zoe puts in every week, she’ll begin to notice a healthy sum stashed away in her monthly statements. The security of knowing that she’s building toward her retirement would likely encourage Zoe to do more to increase her standard of living in the here and now, and to invest in a future that no longer seems like a tightrope walk over a chasm. Thanks to the minimum wage increase mandated under the Shared Security Standards—up from Colorado’s current minimum wage of $8.23 to about $15 an hour—Zoe would enjoy a tremendous increase in quality of life. With the additional disposable income, she could not only spend more freely within her own community, thereby increasing the profits of local businesses, but she could also plan to take the first vacation of her adult life. Her expenditures on plane tickets, hotels, and goods and services might not amount to much in total, but the ability of millions of people just like her to finally enjoy the security and freedom to spend money on vacations, small luxuries, and hobbies would invigorate the economy in a way it hasn’t enjoyed in decades. Further, if she decided to have a child, her entire world wouldn’t come crashing down around her; maternity benefits, affordable child care, and universal preschool would ensure that she’d be able to give her new family the time it deserves. If Zoe eventually moved to another job, her accrued benefits would move with her. Or maybe, with her Shared Security Account boosting her confidence, and the opportunity for a debt-free education, Zoe would choose to go back to college for her horticulture degree, in hopes of becoming a landscape architect. No matter what path she chooses, she now has options, like her parents did, for becoming a fully functioning and contributing member of the Great American Middle Class. There are those who blame the decline of the American middle class on structural changes in the underlying economy—on globalization, new technologies, and other disruptive innovations. But that explanation is disingenuous. For in reality, the erosion of the middle class is a direct result of the economic and social policies we have chosen to implement in Washington, D.C., and in state capitals throughout the nation. We have chosen to cut taxes on billionaires and to deregulate the financial industry. We have chosen to starve our schools and to saddle our children with more than $1.2 trillion worth of student debt. We have chosen to erode the minimum wage and the overtime threshold and the bargaining power of labor. None of this was an accident. The existential crisis facing America’s middle class is the consequence of deliberate policy choices based on trickle-down’s fundamentally flawed theory of economic growth. At times, progressives have been complicit; at other times, merely compliant. But by failing to articulate an alternative economic theory, they have consistently failed to offer voters a better choice. We believe that seeing growth as a consequence of including more people in a secure middle class not only accurately describes the real economy; it can unite progressives in a new and important way. Across the broader progressive agenda—on immigration, on education, on civil rights, voting rights, marriage equality, health care, pay equity, the minimum wage, and on many other issues—the one thing that our policies all have in common is that they are fundamentally inclusive. For decades, we have promoted this agenda largely as a matter of fairness, but middle-out economics explains why our policies are also inherently pro-growth. 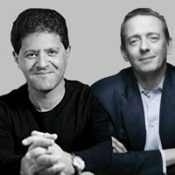 It is through this theory of economic inclusion, this message that growth and fairness go hand in hand, that the various elements of the broad progressive coalition—social justice and labor, along with Silicon Valley and business interests—can unite behind a single, coherent, pro-growth economic narrative that puts us squarely on the side of the middle class. And crucially, this narrative will appeal to voters beyond the progressive coalition—independent and swing voters, many of whom value the promise of growth and employment over the ideal of economic fairness. We must do more than just offer voters a new economic theory—we must draw a sharp contrast with conservatives by proposing bold new policies predicated on the economic primacy of the middle class. The Shared Security System is one such proposal. But more than just demonstrating an innovative solution to providing economic security that is adapted to the sharing economy, a bold new proposal like the Shared Security System would demonstrate progressives’ unwavering and unequivocal commitment to the middle class—to the proposition that growth and prosperity come not from tax cuts for the rich, but from inclusive policies focused on creating a secure middle class. By establishing our twenty-first-century Shared Security System, we will usher in a new era of middle-class economic security, and by so doing also provide American businesses with the economic stability and certainty that they demand. Originally published at the Democracy Journal. Nick is a Seattle-based entrepreneur and venture capitalist, and the founder of Civic Ventures, a public-policy incubator. David is the president of SEIU 775NW and international vice president of SEIU. He is the author of The Fight for $15: The Right Wage for a Working America.